Beans, per our culturally-determined, gastronomic social order, had to be tolerated, not celebrated. They made shame-faced appearances at our family table as bland, boiled french beans which, as children, we were forced to ingest before getting to the yummier dishes. They were, of course, never considered for any main dish. And if at all used in desserts, they were supremely forgettable, with all their innate “bean-ness” wiped out by stellar roles given to coconut and jaggery! Many years later, and many miles from the Western coast, I chanced upon rajma – that creamy, rich, North Indian, winter delicacy that puts kidney beans on center stage – and my bean register rang its first positive note. But it wasn’t until I traveled overseas, and discovered butter beans in Continental salads and soups, and edamame beans in Asian stir fries, that my love affair with beans really began. Butter beans are smooth and creamy to eat, offering non-vegetarians the mouth-feel experience of meat with none of its negative effects. They absorb surrounding flavors, and balance acidic or sweet dishes with their grounded umami appeal. Edamame beans are crisper, bringing lightness and freshness to heavier meat dishes. I began loving beans! 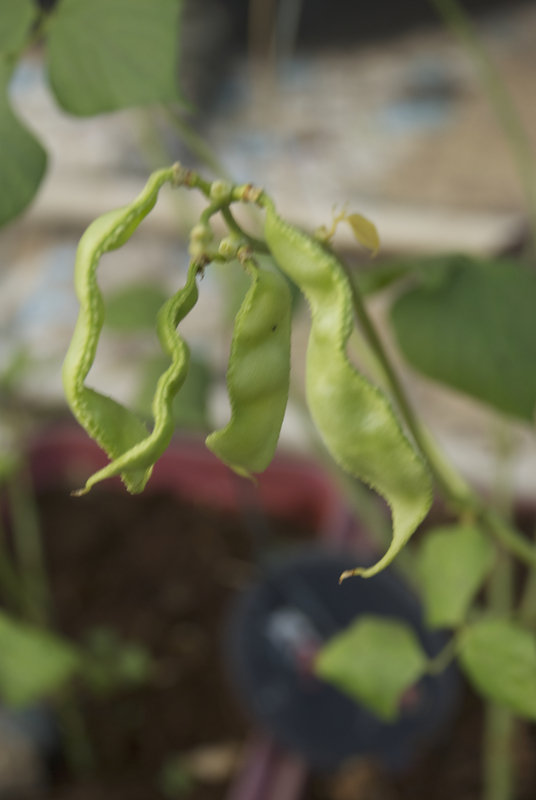 And so, as a new convert, I explored all the varieties of beans I could lay my hands on – learning how to cook them, sprout them, and yes, grow them too! For Mumbai farmers, bean-growing is easiest in winter. 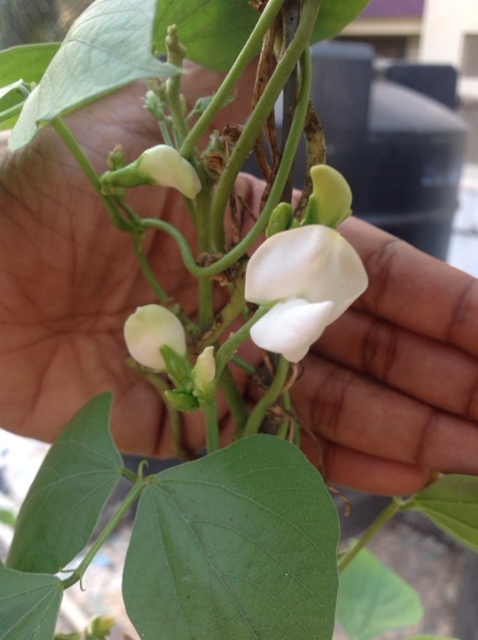 Most bean plants will suffer at high daytime temperatures, their productivity will decline markedly with heat-induced flower-drop, and they are wont to sudden, dramatic deaths, after even a single day of 30+C temperatures. 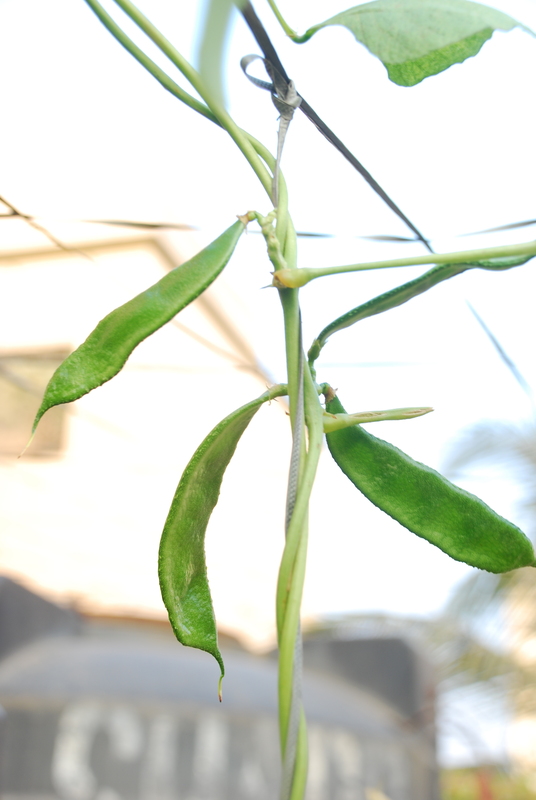 The picture below shows a formerly healthy bush (butter) bean plant turning yellow in leaf, a day before it dramatically shriveled and died in the summer heat. 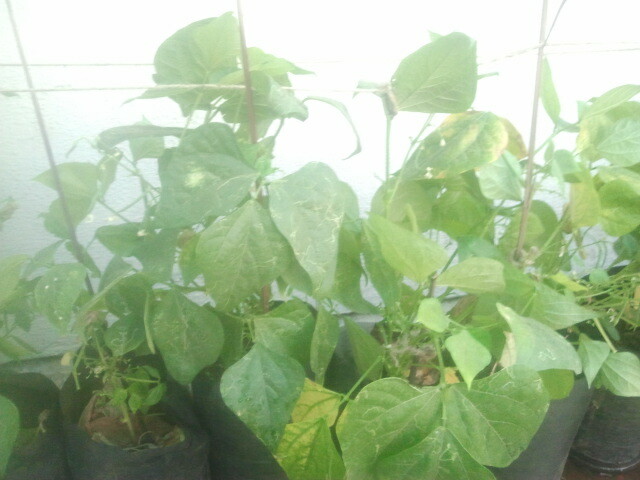 So do remember that bean plants need our Mumbai winters for their survival! And some shade, will be even better for their sanity – as it would be for us too! So with winter, partial shade, and enthusiastic seeds that are quick to germinate, you could grow a bounty of harvest that looks good, feels great to eat, and what’s more – leaves your soil nitrogen-rich, long after your plants are gone! 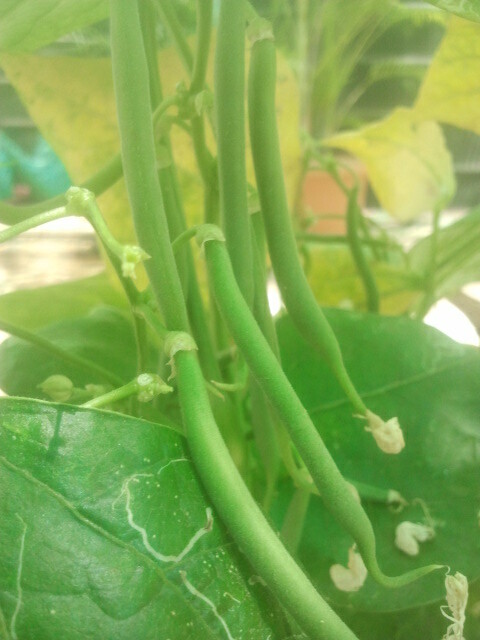 Here’s how beautiful, and gratifying it can be, to grow these tenacious little beans…. Oh and one last thing for all you bean-munchers out there. If you tend to graze while you garden (you know, lost in admiration of your growing beans and munching away contentedly while you’re at it) – DO NOT! Many bean varieties are highly toxic when ingested raw, and heavy consumption can be fatal. So love your beans, as I have come to love mine, but ensure that you cook them first! Until the next post, make the most of this winter, and grow them beans! This entry was posted in agriculture, Bombay, city, Container, Farming, flower, Gardening, green, grow, Hobby, lifestyle, Mumbai, Organic, sapling, seed, seeds, Sustainable, Terrace, Tropical, urban and tagged agri, agriculture, agritech, beans, butter beans, consult, eco, ecotech, farm, farming, garden, green, grow, mumbai, organic, project, sustainable, terrace, urban on December 7, 2014 by Mandy. thank you for this post. i have been munching away on raw beans. had no idea!!! !